Ballast Boards & King Boards - Our stock of Anderton Concrete Ballast Boards are heavy duty and used for retaining wall installations along the track. We can supply the larger, denser King Boards for more industrial applications when required. GRC Ballast Boards - We stock BCM GRC Ballast boards, a lightweight retaining wall solution for use trackside. 3 / 6 Way Point Rod Roller - Predominantly used as buried stabilisation for ladders on or near the permanent way. Bespoke Concrete Items - We use suppliers that can manufacture bespoke items to suit your needs, ranging from special sized Coping stones, Harp units, staircases or oversail blocks, to Z blocks and more. 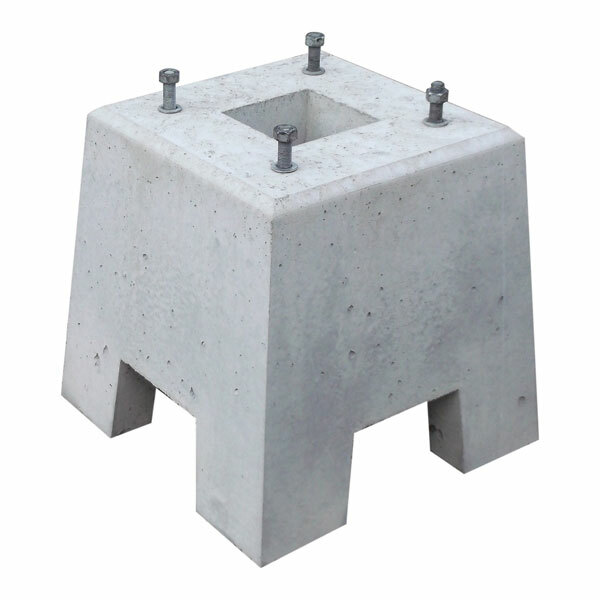 LOC Bases - We are suppliers of Anderton Concrete Location Bases, both small and large including the bolts sets if needed. Filler Blocks and Corner Units are available as well.